Sometimes a girl wants buns of steel… and other times she just wants buns of cinnamon. Wishing you could have one without giving up on the other? Look no further! 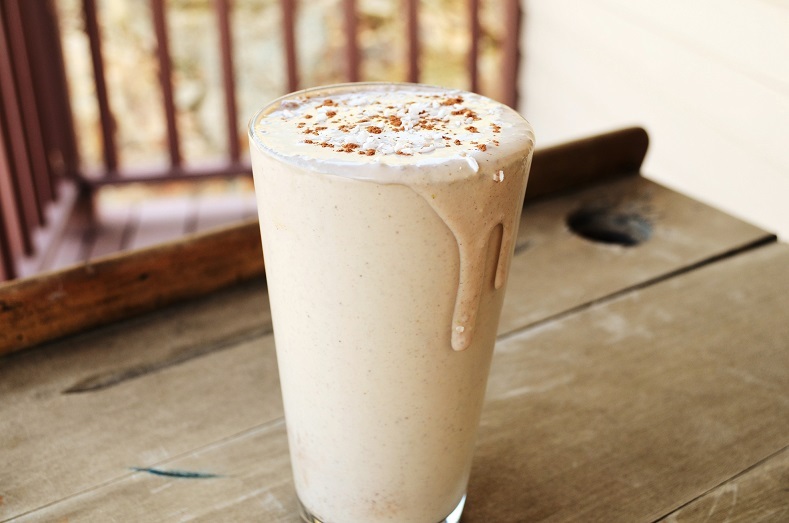 This fantastic Cinnamon Bun Smoothie recipe keeps your cravings in check, so you can hit the gym harder than ever. Try it out for yourself and be sure to let us know what you think! Serve immediately, add additional cinnamon on top (along with some unsweetened shaved coconut if desired), & enjoy!